© 2019 Audi Canada. 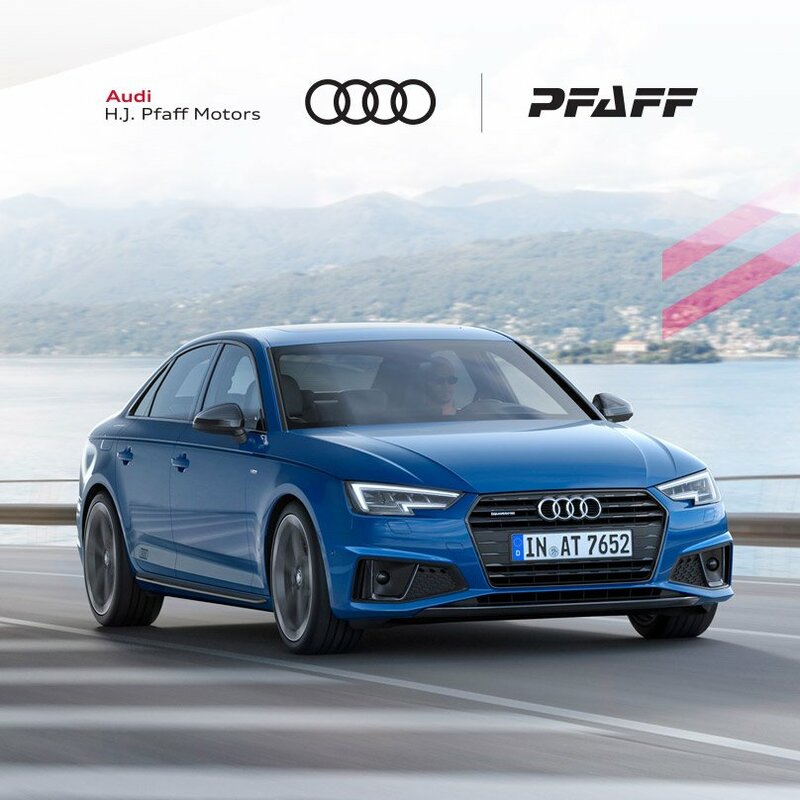 Limited-time lease and finance offers available through Audi Finance, on approved credit, on select new and unregistered 2019 Audi A4 and S4 Sedan models. European models shown with optional equipment that may not be available at the time of purchase. Offers end April 30, 2019 and are subject to change or cancellation without notice. Dealer order/trade may be necessary. Dealer may sell or lease for less. See dealer for details. Model shown: 2019 Audi A4 2.0 TFSI quattro Technik tiptronic with base MSRP of $53,217. † $2,500/$1,500 Audi Credit available to be applied as a discount to the MSRP before taxes on purchase or lease of select 2019 Audi A4/S4 Sedan models. Dealer participation is required. See dealer for details. *Lease a 2019 Audi A4 45 TFSI quattro Komfort with a base MSRP of $46,695 (including $2,095 freight and PDI) at 1.98% for 36 months, with monthly payments of $398/month (after application of $2,500 Audi Credit). Air conditioning tax ($100), PPSA ($58), OMVIC ($10), dealer admin fee ($395), $5,388 down payment or equivalent trade-in, security deposit of approximately one month’s payment, and first monthly payment due at lease inception. License, insurance, registration, options, and applicable taxes are extra. The total lease obligation is $19,769 (excluding taxes). Kilometre allowance of 12,000/year; charge of $0.30/km for excess kilometres. **Finance a 2019 Audi A4 45 TFSI quattro Komfort with a base MSRP of $46,695 (including $2,095 freight and PDI), at 2.98% APR for 60 months, with monthly payments of $695 per month (after application of $2,500 Audi Credit). Air conditioning tax ($100), EHF for tires ($0), PPSA ($58), OMVIC ($10), Dealer Admin Fee ($395), $5,388 down payment or equivalent trade in, due at signing. License, insurance, registration, options, and applicable taxes are extra. Cost of borrowing is $3,003 for a total obligation of $47,098.